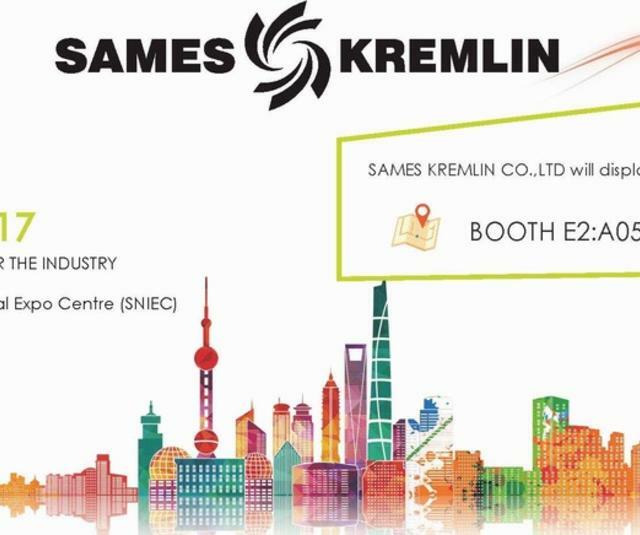 SAMES KREMLIN would like to invite you to visit the 30th SFCHINA 2017 on Nov. 15th-17th at Shanghai New International Expo Centre (SNIEC). SFCHINA2017 (the 30th edition of the China International Exhibition for Surface Finishing & Coating Products) will open its gate once again to global industry players in Shanghai. The show continues to grow from strength to strength as an annual meeting place for the industry to gather and exchange. Worldwide exhibitors will showcase their new products and novel technologies under one roof for 3 days, allowing visitors to be inspired by the industry's latest trends.